Centuries old stories are etched in the impressively restored ruins of the historic Nelson’s Dockyard National Park - one of the most beautiful spots in the Caribbean. Today, tales of romantic bliss are embraced in the warmth and rustic charm of its historic buildings that have been magically restored. Discover the perfect place for couples to exchange their nuptial vows. 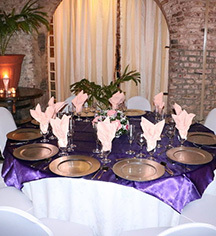 The Copper and Lumber Store Historic Inn is a prized location in romantic Antigua to provide all the necessary services for that magical wedding day. A proficient and experienced team of professionals will take all the stresses and uncertainty out of the wedding plans, place the couple into their caring hands, and let them pleasantly shape the occasion into the enjoyable and unforgettable memory that it deserves to be. Leave it to the wedding planner to assist in every possible area of the ceremony, reception, and romantic getaway to be expertly and carefully handled. 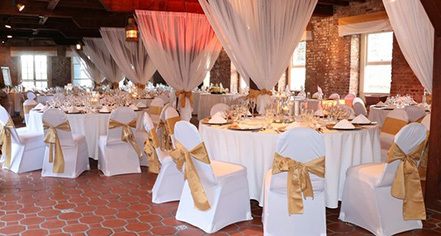 The Copper and Lumber Store Historic Inn is ideally suited with a spectacular courtyard for any wedding ceremony, an impressive and comfortably accommodating dining room, and a fully functioning kitchen to provide for an unforgettable dining experience. The Inn is also the perfect opportunity for a romantic honeymoon, in superbly restored, Georgian-era rooms that are beautiful in design, delightfully spacious, and satisfyingly comfortable. There are 14 suites and studios, each carrying its own unique design to appeal to varied tastes.